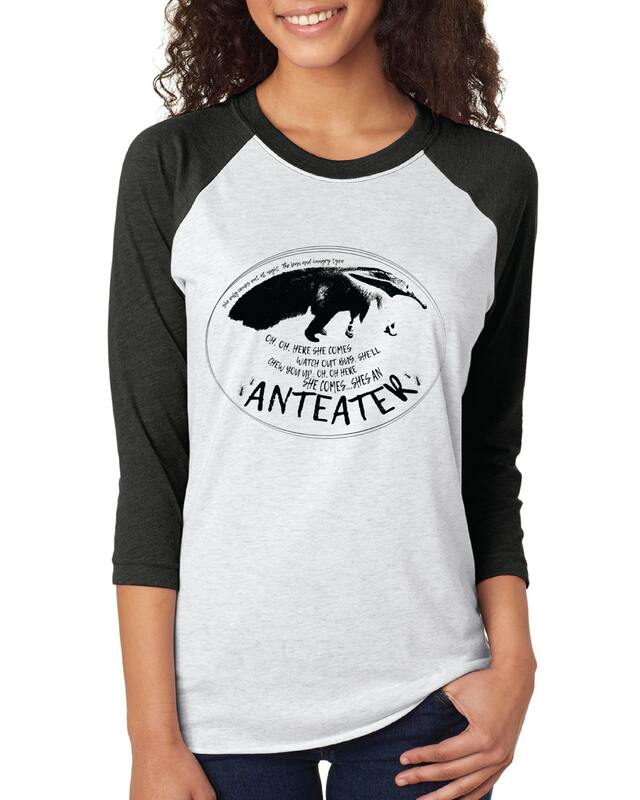 Anteater Baseball tshirt - Careful, it's an ear worm! 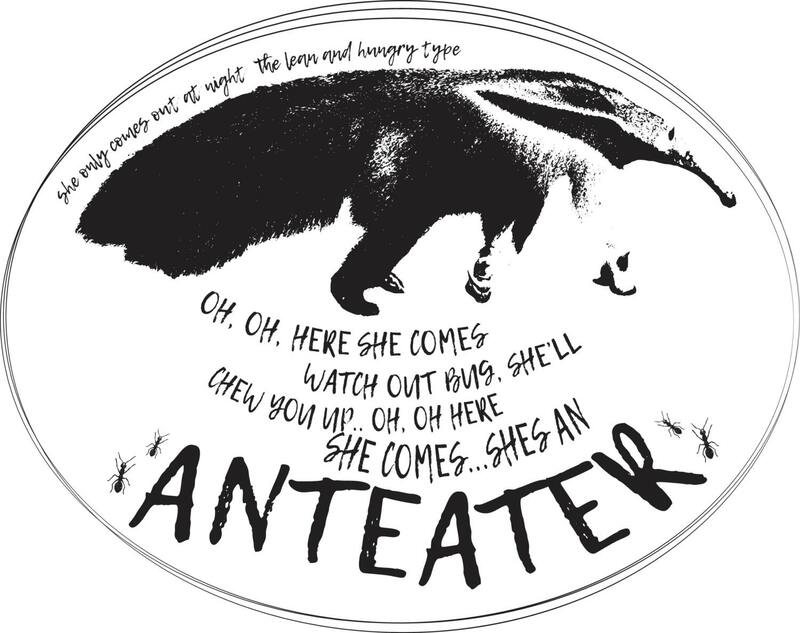 Nothing like a good tribute to the infamous Hall and Oates "Maneater" song, with a beastly twist! 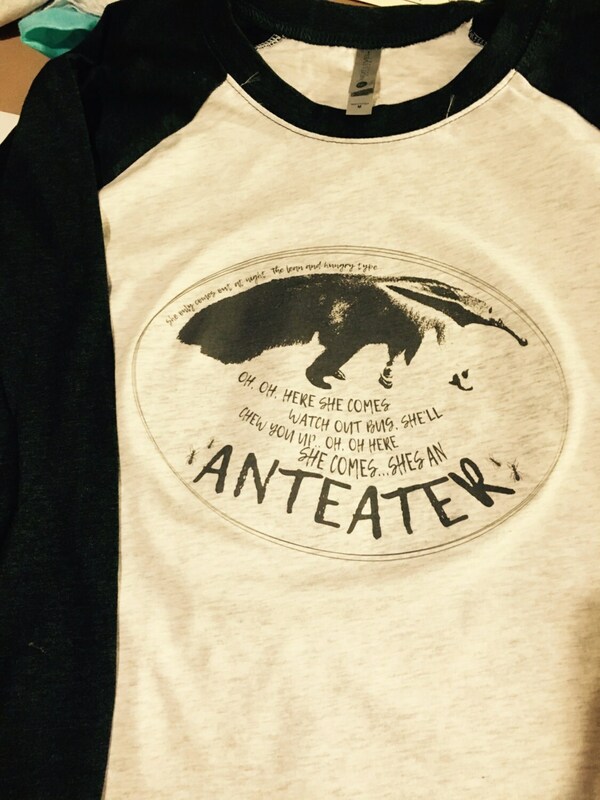 Try to read the lyrics on the shirt without singing along...I bet you can't do it!